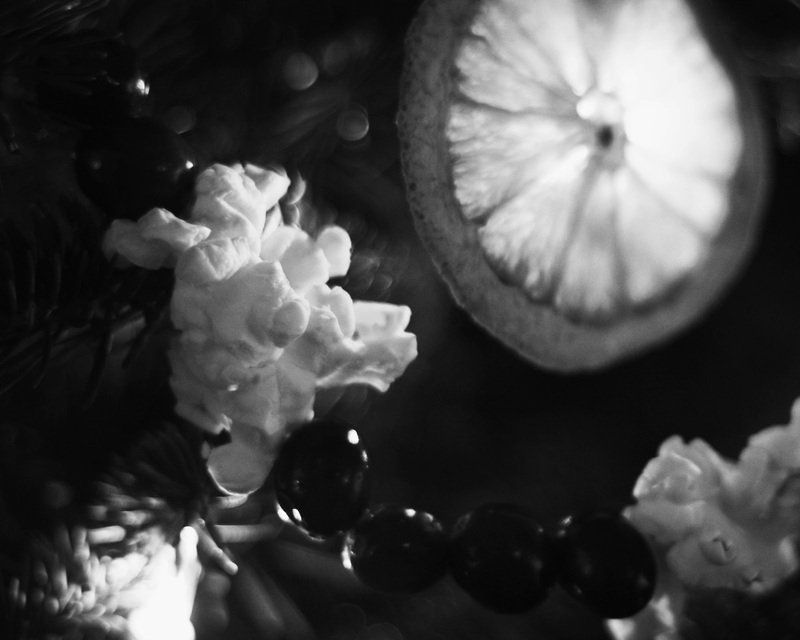 My Memory Art: Black & White Wednesday ~ Ornaments? 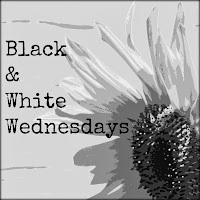 Black & White Wednesday ~ Ornaments? and we have one delicious Christmas tree! I love the light shining through your orange slice! 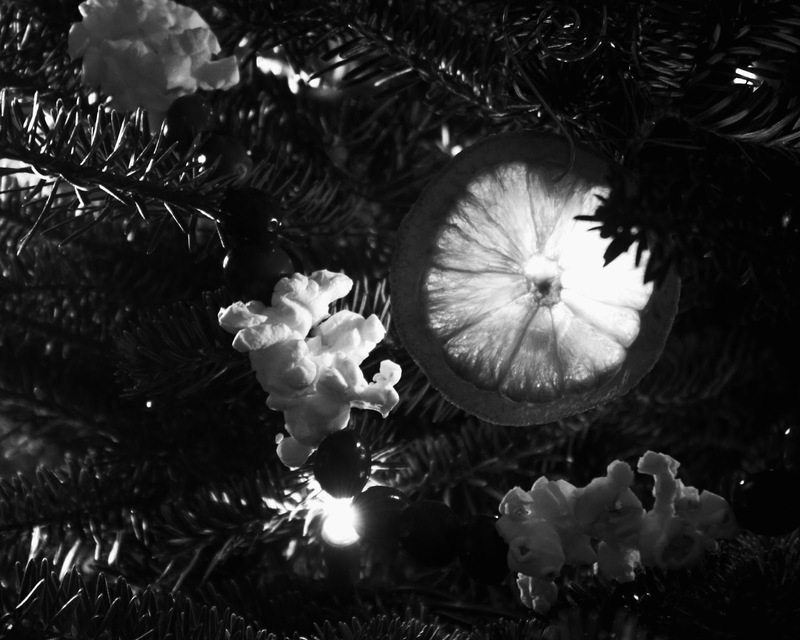 what a great idea to use popcorn as snowflakes! Beautiful light on your pictures. and I would imagine quite fragrant. Love the orange slice and could see a fun play on lights with it. 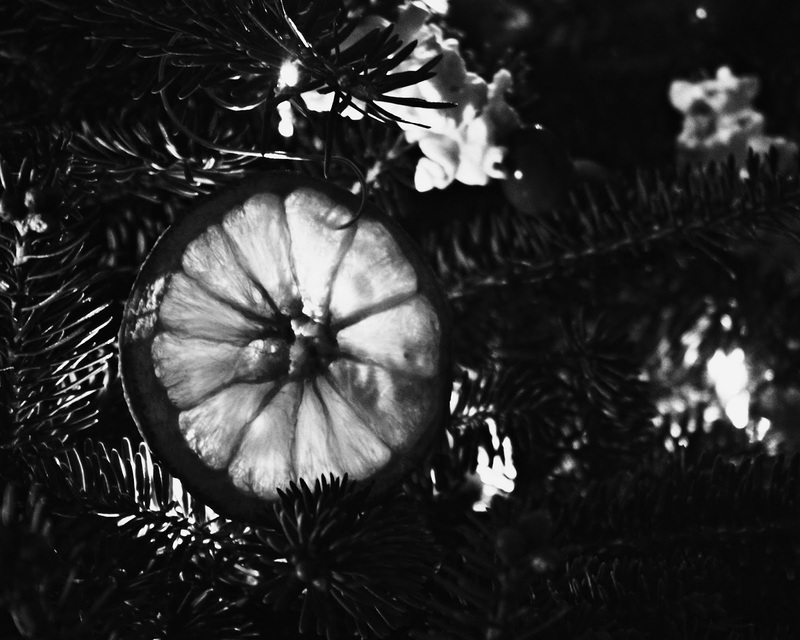 Creative shots for the season in BW! Totally digging the orange slices - amazing! How different! I can smell the popcorn and oranges!